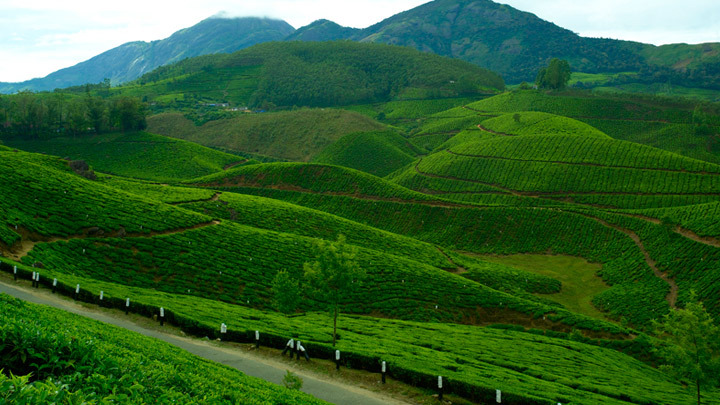 Kerala is a paradise located on earth where the people get to the escapade in the wildest of nature. And when fed with all the best facilities for travel, the journey becomes the best of all time. I belonged to Raipur and had no absolute plan of traveling to Kerala until our family friends had taken a trip to Munnar, ‘The Kashmir of south India’. We decided to explore this beautiful destination and set off on a family tour to Kerala from Chattisgarh. As we reached the Cochin International Airport, we got into the cab that had been sent to us by the Stunning Resorts in Kerala we had booked beforehand. It was evening and the sun was setting. As we drove through, we passed through agricultural lands and evergreen grasslands and finally reached our destination after a three-hour drive. It was night and our resort Broad Bean had been illuminated with decorative lights. The climate had been cold and soothing and we wanted to spend some time outside in the foggy night when the manager came and told us that they had a moon terrace and our dinner would be served there in a short while. So we went to our executive rooms and freshened up before going for the dinner. As we reached the moon terrace, we got the aroma of chicken and vegetables being barbequed and got to see all the people residing inside the resort there. A table had been exclusively booked for us where our food was served. Music had been playing we had been hogging all the delicious food.Candlelight dinner was being provided to the couples sitting on the other side of the terrace and the place seemed much more romantic with all the red balloons and candles that had been there. We got down to the service counter after dinner in order to get some extra blankets and they informed us that we just had to inform them through the room service call. I also inferred regarding the confirmation of cab for our travel through Munnar for the next day and comfortably went to bed. The next day we got ready to travel while our breakfast reached us in room service. After taking everything necessary, we left to the first destination of our travel, Top Station. We reached the top after walking or rather trekking a short distance and reached the top from where we got to see the real beauty of Western Ghats. We felt like the clouds had been moving through us and could feel the mist on our feet. Mornings could not have been any better than at this destination. We walked through the place and enjoyed the sights of greenness everywhere. In some time we left for the next destination which was the Echo point which was also located nearby. The specialty of the destination was in the name itself. The echo that returns from this place is quite a fascination. And crazy people can have much more fun here screaming and howling into the air. We spend more time here before the sun started to spread its scorching heat in the place. We rode back to the resort for our lunch as our next destination of the visit was located on the same way. As we reached the Best Resort in Munnar, we got to see people who had been busy in outdoor games playing badminton and basketball. We asked them to serve us room service so that we could rest for some time as the trekking had got us quite tired. After 2 hours, we walked down and got to see people who had come for spa services which are also being provided by the resort. We began our drive to Attukal Waterfalls. The destination was located in some 9 kilometers and we reached the eco-spot in a short drive. The place was lit in nature and was such a mesmerizing sight one could capture. We walked through a wooden bridge which added to the beauty of the place. Nature had never given me this level of satisfaction ever before. And the best part of Munnar was that the place just shimmered in nature and no infrastructure had overtaken the beauty of this land. We walked further more and could not take he our eyes off the falls. The adventurers were having a great time trekking here while we had been enjoying the view from the distance. The place captivated us for more than two hours as most of us did not really want to return back. But since it is not advised to travel during the night time at Munnar, we rode back to our resort.and decided to have a swim in the pool. Kids had already been playing in the kids’ pool while we took over the main pool. When we reached back, the housekeeping had cleaned our room and we slide into our extra comfortable beds for some time. We walked to the small pond that had been there and spends some time pedaling the boat there. Even though there were enough Kerala hotels nearby, we were happy that we had chosen this place to stay as the facilities provided were quite good. 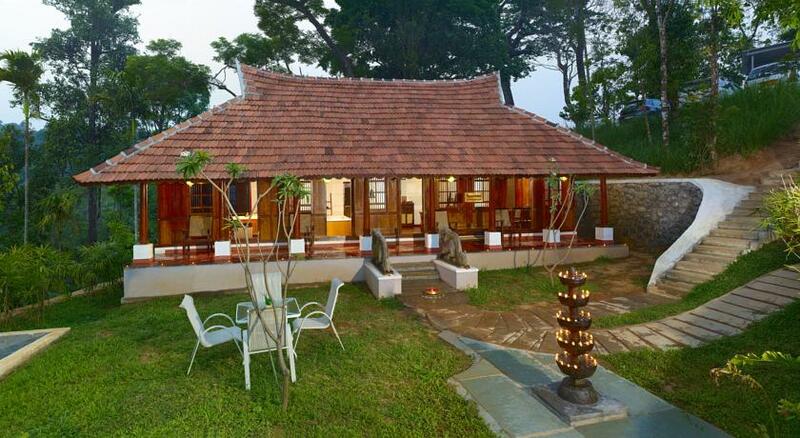 And as far as Munnar is concerned, along with enjoying sightseeing and trekking, one should also take time to enjoy the climate of the place which we had been pursuing in this resort. We also called the service counter and booked a body spa for the next day. We could hear various sounds from the surroundings which probably belonged to birds. We walked through the resort and got to see a babysitting room for the baby residents. But none of them had been inside. We went to the restaurant and ordered tow coffee takeaways and walked sipping it to the room. Carrom board and coins had been kept on the table and we decided to play together for some time. We walked to the moon terrace which had already become my favorite place in the resort. We were served with varieties of seafood this time and it was a dinner delight for us. The next day we packed some hot crispy vada for breakfast and started on our journey to Photo point. This destination was quite famous for taking pictures and hence we had charged our DSLR camera. We reached the place and surprisingly, photographers had been there helping the people take pictures. We clicked some with our camera and asked the photographer to get some group pictures of hours after which we left to the next destination which was tea gardens. when we reached the location. all we could see was tea plantations spread out to acres. The view was more than mesmerizing and we were eager to pluck some leaves by ourselves which the locals allowed us to do. We also got some fresh tea powder from the center there and got down to a garden where we were provided with hot packed food from our resort. We sat and had it in the garden and it was definitely a great experience.Our two exciting days were over and we were to return back to the airport in order to catch our night flight. More than the destinations, we were sure that we would be missing the Thrilling Budget Resort in Munnar as they had hosted us in the best possible way. We thanked the manager and cleared all our dues before leaving. The best thing that happened when we were returning was that we were packed with some snacks for our travel along with fresh juices and that was when we realized that the trip was one of the best with the best memories. HOW CAN THE CONCEPT OF RESPONSIBLE TOURISM PROTECT THE KERALA BACKWATERS? 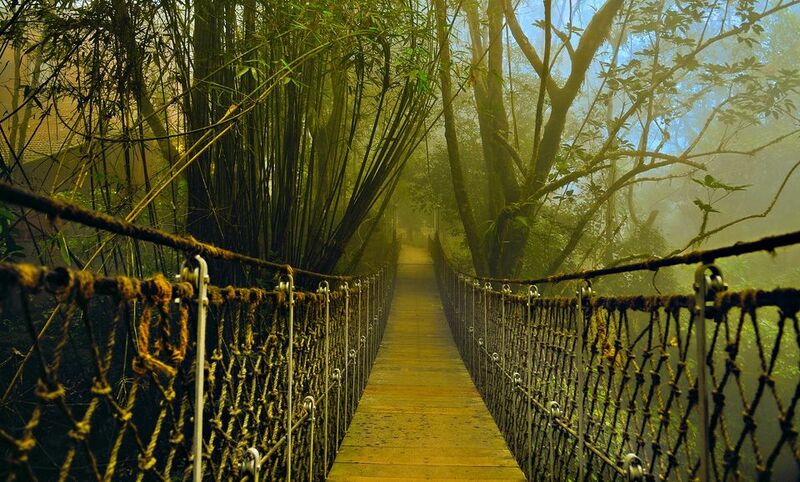 Wayanad: Where Nature Hosts The Guests To The Evergreen Hillock.